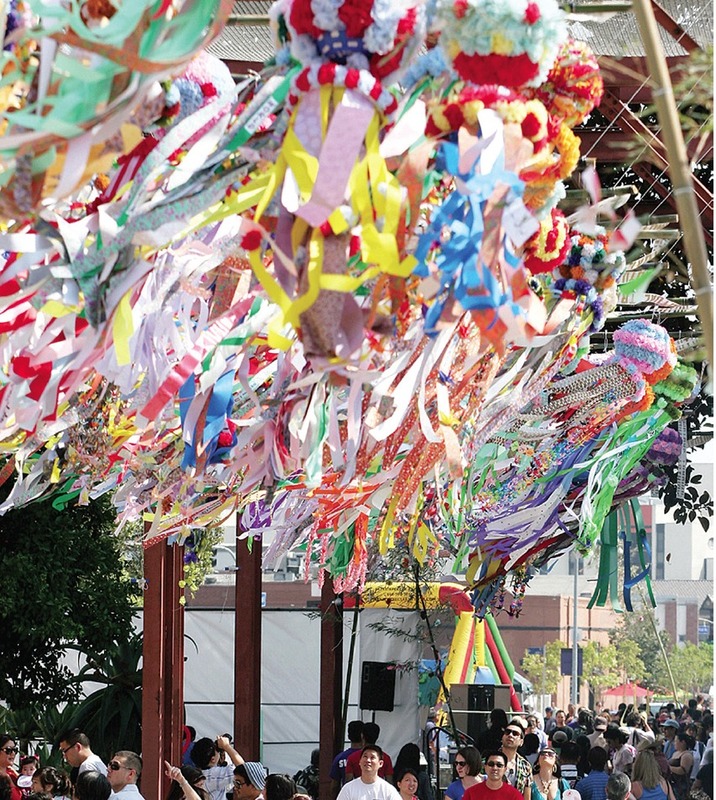 Colorful kazari will be on view throughout the Tanabata Festival. Each year at the Los Angeles Tanabata Festival in Little Tokyo, the festival committee chooses a design for the giant Community Kazari. This year, the committee is asking for the public’s help by conducting a design contest. The winning design will be integrated into the centerpiece Community Kazari. The deadline for submissions is March 31. One winner will be chosen by the committee by April 15 and the result will be announced on LATF website and on social media. The winner will receive a $100 gift certificate from Sushi Gen restaurant. Use art supplies such as markers, color pencils, or crayons. More than one design per person can be submitted. The design can be submitted by email to [email protected] or mailed to Los Angeles Tanabata Festival, 307 E. First St., Los Angeles, CA 90012. Mailed entries must be postmarked by March 31. After the winner is selected, LATF will order special paper to make the design come to life. The paper comes from the Narumi-ya paper company in Sendai. Then the kazari will be constructed with public participation. The completed kazari will be revealed at the 11th annual Los Angeles Tanabata Festival (Aug. 10 and 11). The total height of the kazari is 22.5 feet; ball diameter is 48 inches; middle diameter is 48 inches wide and 30 inches tall; and the streamer is 48 inches wide and 14.5 feet in length. For more information about the festival, call (323) 920-5283 or visit http://tanabatalosangeles.org.